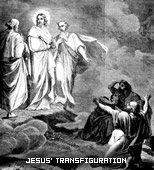 This Sunday we looked at the Transfiguration, the story of Jesus, Peter, James and John on the mountaintop, where Jesus is changed to pure white, and joined by Moses and Elijah. This had to be one of those times that changed the disciples lives forever. And while they might not have understood it at the time, I'm sure they remembered that day and reflected on it when filled with the Holy Spirit after the Pentecost. But what did mean? What significance did it have for Jesus? What significance for the disciples? Why do we look at it every year? What significance is there for us? This has been a favorite verse of mine for some time. It takes place along the shore of Lake Galilee with two fishermen, Simon and Andrew. Jesus asks them to follow him, and they immediately drop their nets and follow him. For as long as I have loved this verse, I still get convicted by it once in a while. In a reading this morning, I was convicted again. Henry Blackaby, in a daily devotional book titled, “Experiencing God Day by Day”, wrote about this verse for today’s reading. 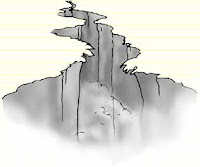 The crux in this morning’s devotion was that Jesus asked the disciples-to-be to follow him. I got to thinking what that really means. How did it look to the disciples? It meant that He will lead, he will go where he wants them to go; all they have to do is follow. He will tell them what he wants them to do; all they have to do is follow. He will show them and teach them, but most of all, he will lead them. He is asking them to follow him. Too often today we do things for Jesus, without following Jesus. We get involved in ministries that we think would benefit the church without stopping to think where Jesus might be. We visit people and share the good news without checking to see that Jesus is there. I had a roommate in college who followed me everywhere. But he did it two steps ahead of me. We would talk as we walked, and he would always turn back as he walked. Often, I would change directions just to see how long it would take him to follow. It was fun at the time. I joked around with him quite a bit at the time. Are we doing that with Jesus? Are we walking two steps ahead of the one we should be following? Are we going places to do things – without ever checking to see if Jesus is there? We have been called to follow Jesus. Next time we go out to share our faith, telling others about truly good news, let’s make sure Jesus is there. Let’s make sure we let Him lead. We will truly bring in a plentiful harvest, if we can follow Jesus. That means making sure we’re working in the same fields that He is working in. 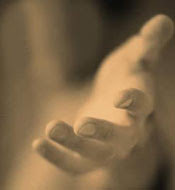 Perhaps, being made whole, being truly healed, means that we reach a point in our faith where we reach out to others. We help others who are suffering. We help others who are lost. Perhaps, in this sense, being made whole refers to being made into the image of Jesus. A little more simplistic view, when we become more other-person-centered than we are self-centered, we are whole. This weeks message was about the story of Jesus healing a man with leprosy. I think this is such an important message because I think in some way, all of us have a hurt that we long for Jesus to heal. And this passage can give us the framework for that healing. If you are lonely. If you are ill. If you are hurt. If you are suffering in any way, you can relate in some way to the man with leprosy in this story. And you can find hope knowing that Jesus can heal you, just as he healed this man. There are some verses of Scripture that are more preferable and more politically correct than others. This section of Matthew is not one of those "warm fuzzy" passages that are read often. In my years of ministry, I have used this once at a funeral. The lady requested it before her death! It is just not very acceptable to talk about separating people out, and their judgment day. The idea of being called a goat or a sheep is bit offensive, too. As we look around us, we see many people following their own path in life, and having little regard for anyone else. That is a popular concept - that we can "make our own way" and that "your way is as good as my way." According to our Lord, Jesus, that is not quite right. He was adamant about saying that He is the only one true way. In fact, those early Christian followers called their path "The Way" to follow Christ. Sometimes we get lost on our way. Sometimes people will be fad followers, and skip from one thing to another. I believe that following Christ, when I have accepted Him as Lord and Savior - is a permanent decision. His blood will cover me - and His forgiveness is complete. He promises to remove my sins (our sins) as far as East is from West - they will exist no more! What a comfort that is! On the other hand, we will be held to account for our life - and the decisions we've made - good and bad. Here is where the sheep and goats analogy comes in. I believe I will indeed stand before Jesus on that day of judgment, as will you. The day we face Him on the throne and view our life, what will we see? Jesus will be watching too, and He will be curious to see whom we helped, how we managed, and what we have done for the least and the lost. Then, He will move us to right or left in a great, eternal divide. At that time, and on that day - let me be on the right side. We have finished with some car problems. For the past three weeks, both of our cars had been in the shop. We are finally back to full strength, and it feels good. While both were expensive repairs, we opted not to fix the van. All together, while trying to find parts and get the best prices for repairs, and then ultimately replacing the van, we were without for three weeks. This can be pretty difficult on a Pastor. A rather big part of the work entails seeing people, including some in hospitals and nursing homes. A car is a necessity in this day and age. But we got by, thanks to some good friends that came to the rescue. Over the past three weeks, we were able to borrow four cars from people who love the Lord and wanted to reach out and show that love to Sandy and I. In fact a couple of others had offered, and we are very grateful. One couple who loaned us a van for two weeks shared the concept of the Indian giver. We think of that as a bad thing. Someone who borrows something, than ask for it back. But in reality, Indians had a form of common ownership of everything. If I have something you need, I give it. When I need it back, you give it back. It doesn't really belong to either of us. It's available to anyone who needs it. I needed a car, they had two, so they shared. Do you have an iPod? An MP3 player? It seems that everywhere you go you see people with these earphones in their ears listening to their favorite music. 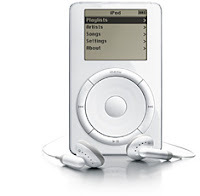 We live near Alfred, and the students quite often go jogging in the afternoon, and several have these iPods. Seeing people in the stores these days, it not unusual to see people with these iPods. Even more and more cars are coming with jacks so you can plug your iPod into the car radio and listen through car speakers. I broke down and bought one last fall. I listen while exercising, often while driving, even on the bike a couple of times! I even it took it to the park and sat against a tree for while listening to my favorite music. They’re so small, it’s easy to take them anywhere! As you probably could guess, iPods and MP3 players work on an internal battery. Most will last about 24 hours before it needs recharging. When the battery charge runs down, you have to plug it in so it can recharge the batteries. An iPod can be a great way to listen to music, but if the battery is run down, it won’t work. We need recharging once in a while, too. In fact, we really can’t last much longer than an iPod. If we don’t get sleep every day, we won’t work right. And doing strenuous activities can wear us down even quicker, and we’ll need to rest. But we need spiritual recharging, too. We need to get our spiritual batteries recharged from time to time. And while we might seem to be able to last quite a while between charges, we really aren’t as effective for the Lord as we could be, unless we’re recharging those batteries every day. There is an age old saying that says that you can’t pour from an empty pitcher. As we give to others, and as we minister to others, we pour out into their lives from our life, our pitcher. And if we do it often, our pitcher becomes empty, and we can’t give anymore. Truth is, we can only give what we receive from God to give. It is He that fills our pitcher. And it is through our time in prayer and in reading Scripture that we are filled. See the Lord with all your heart, and seek Him through prayer and Scripture reading every day, and you’re pitcher will never run dry, and your spiritual batteries will always be fresh.